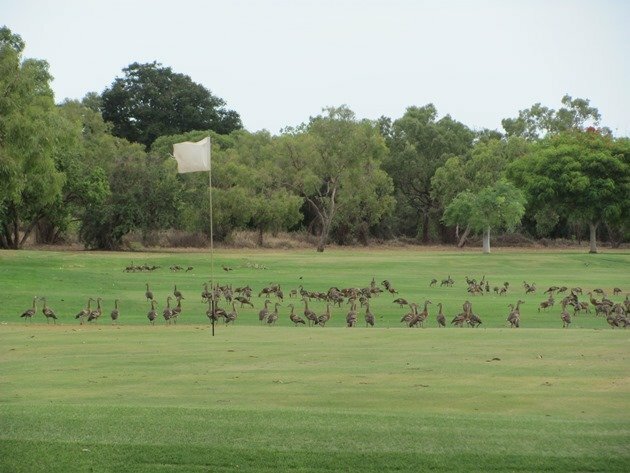 Last week I introduced you to the new bird-watching hut at the Broome Poo Ponds and now I will let you know it is not just about the ponds, but the adjoining Broome Golf Course! 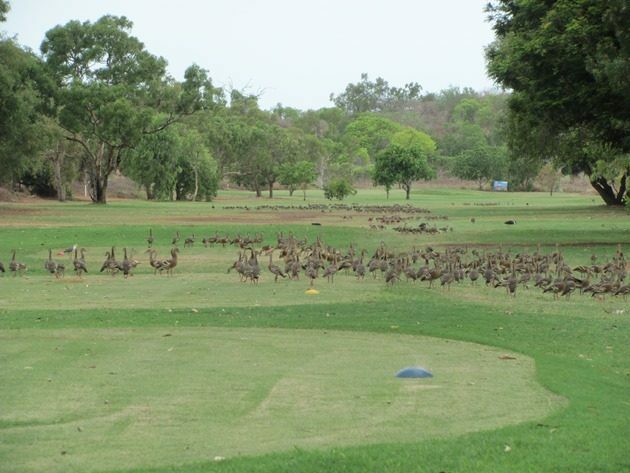 The water that is recycled from the Broome Poo Ponds goes towards keeping the Broome Golf Course nice and green year round and not only is this an ideal situation for the people that play golf, but it is also ideal for numerous species of birds. 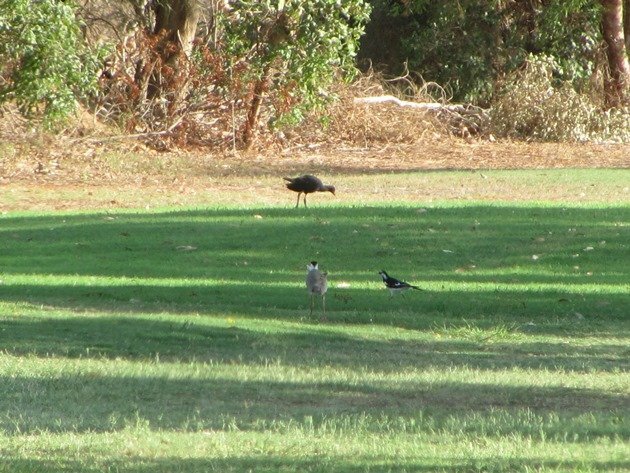 Some bird species are regulars at the Golf Course, but we have also had rare birds how up over the years such as the Banded Lapwing in 2011. 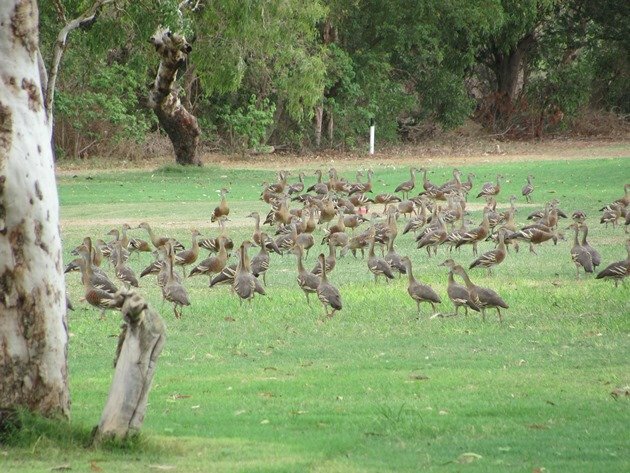 The grass is ideal grazing for Plumed Whistling-Ducks and they are often seen feeding on the lawns when they are not roosting nearby at the Poo Ponds. Dollarbirds can be observed in the area when they are breeding here in the tropical summer months and often perch up high on the trees. 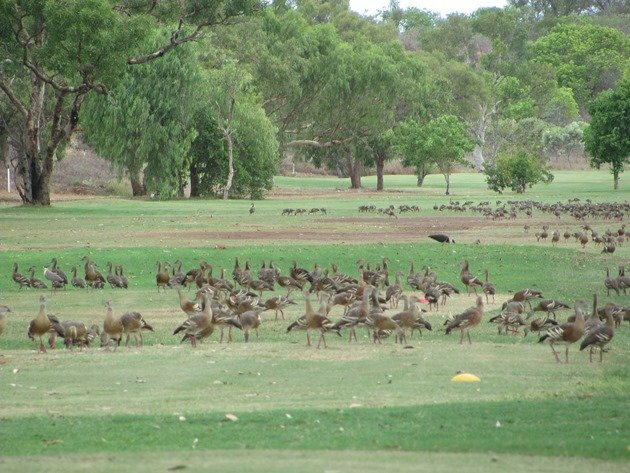 Masked Lapwings are observed on the Golf Course for most of the year and also breed inside the Poo Pond fence. Every now and again there’s a surprise and we have had the occasional Great Egret recently on the damp grass and on one occasion a Purple Swamphen. 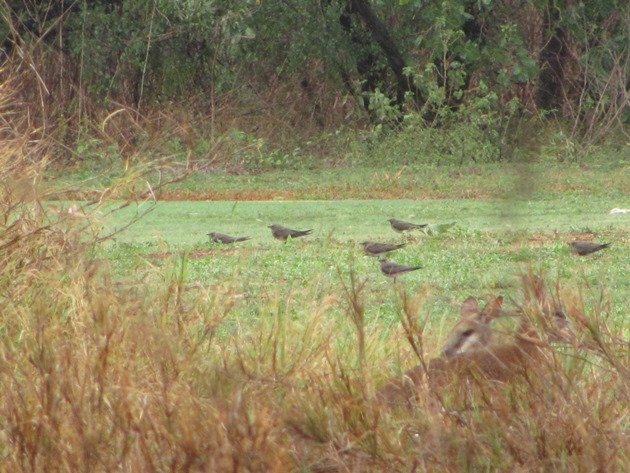 Just prior to Tropical Cyclone Hilda hitting Broome on the evening of December 27th 2017 there were large numbers of Pacific Swifts pushed down near the Golf Course and the Oriental Pratincoles were hunkered down at the Golf Course. As you can see from the photo below there are wallabies taking advantage of the grassy areas too. 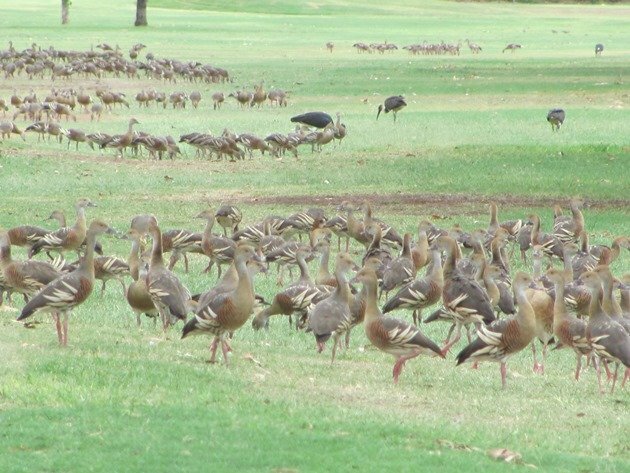 If you happen to be at the Broome Poo Ponds at the new bird-watching hut then you can easily look across into the Golf Course and see what is taking advantage of the nice green grass!